Funny Face Yoga with Snow Caps - Creating beauty one laughter at a time - All Chucked Up! Destressing normally needs a good amount of distraction to take your mind away from the usual concerns of everyday life. Now, how one destresses really varies from person to person. My usual and preferred way of relaxation is hitting the gym to lift a few weights and do a couple of laps on the treadmill (or outdoors). But just recently, I was introduced to a very different means of relaxation and well-being — Yoga. No, not the kind of yoga that requires a good amount of body flexing and stretching. I’m talking about FACE YOGA. FUNNY FACE YOGA to be exact! 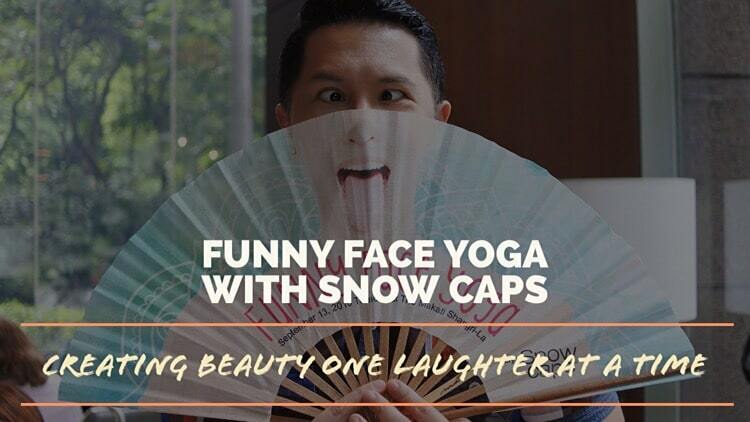 Laugh your way to wellness through Funny Face Yoga with Snow Caps! 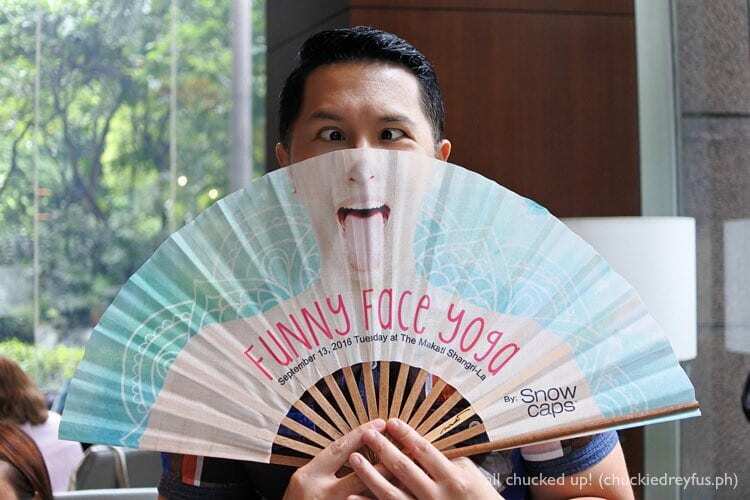 During the recently held Funny Face Yoga with Snow Caps which my wife and I were fortunate to have been a part of, never in my life have I deliberately made my face look so hilarious in front of so many strangers! LOL! You see, #BetterMe is something that Snow Caps Glutathione advocates. 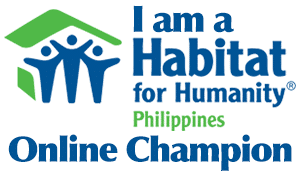 And in line with that initiative, they actively support women to be better versions of themselves. What better way to communicate this message than by showing (and teaching) women this fun and hilarious way to stay young, beautiful and stress-free. 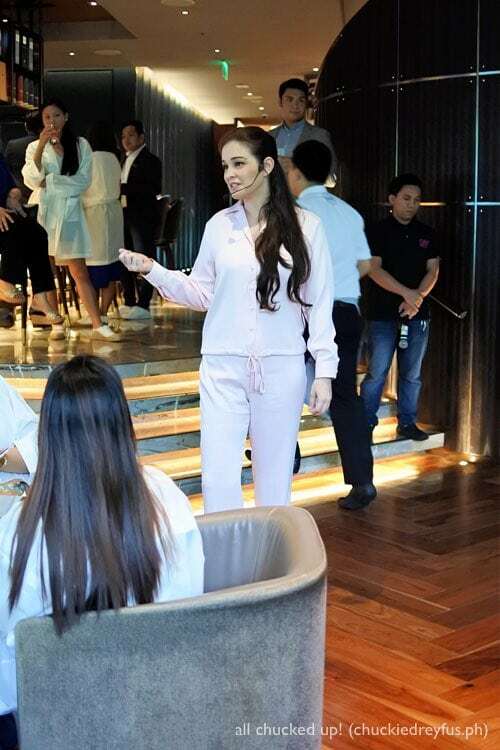 This particular afternoon’s Funny Face Yoga activities at the Sage Bar of Makati Shangri-La Hotel, which saw friends and media come together, was led by none other than Vivien Tan. Vivien Tan is a former model who started her career at 12 years old. She understood the pressure that society has put on women to be beautiful and perfect. Being immersed in the world of fashion and beauty at such a young age shaped what she thought beauty was and what beauty should be. Vivien witnessed very young girls fall victim to dieting and health disorders like anorexia. She also understood the pressure that women have put on themselves — to be the perfect woman, wife, mother. At the peak of her career, Vivien decided to leave this world of high-fashion and embraced her new role as wife and mother. She learned that her and society’s definition of “beauty” turned out to be unreal and she then went on a pursuit of what real beauty is. Part of her journey includes what she learned from yoga as a Kundalini Yoga teacher — one of the biggest learnings is finding joy from within. 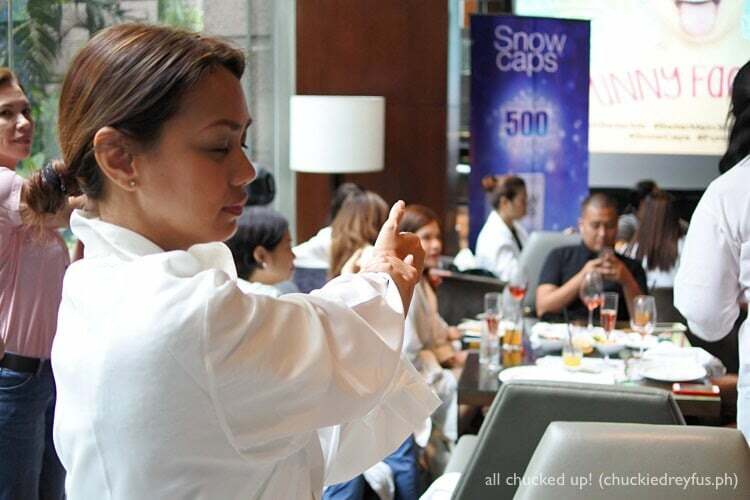 To illustrate the fun side of yoga, Vivien taught guests Funny Face Yoga. I had a great time during the Funny Face Yoga session. 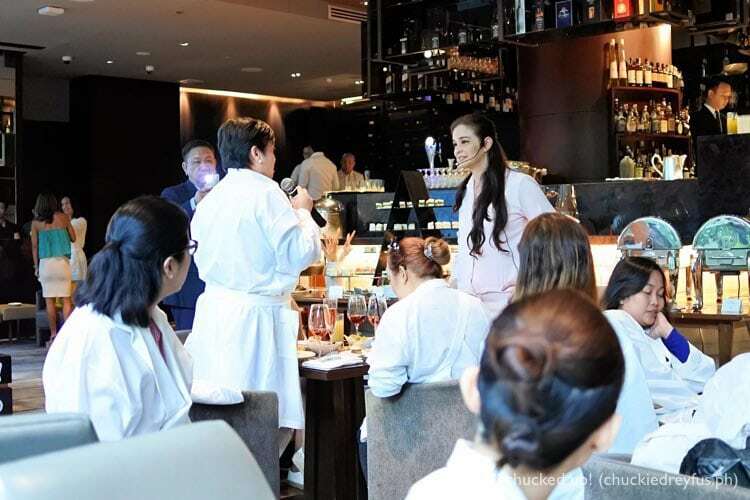 During the demo Vivien Tan shared three kinds of exercises — breathing exercises, kissing (Yes! Kissing!) 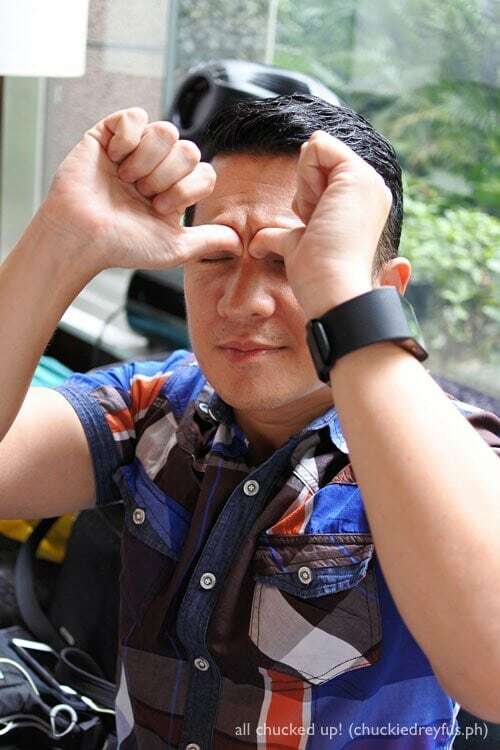 exercises and eye exercises. But, what really made the activity fun was how funny and silly everyone looked and felt while doing these exercises. While the Funny Face Yoga with Snow Caps was mainly geared towards women, even men like me participated, enjoyed, and learned a lot from it. I learned that joy comes from within. 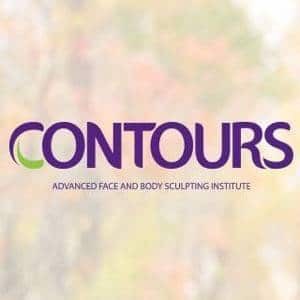 It does not rely on exterior forces or how you look on the outside. And with joy comes beauty — the kind of genuine beauty that radiates from within. This, I believe, is a very important lesson we can all learn from the Funny Face Yoga. It is from this mindset that Snow Caps wishes to impart their advocacy of supporting women to be better versions of themselves. 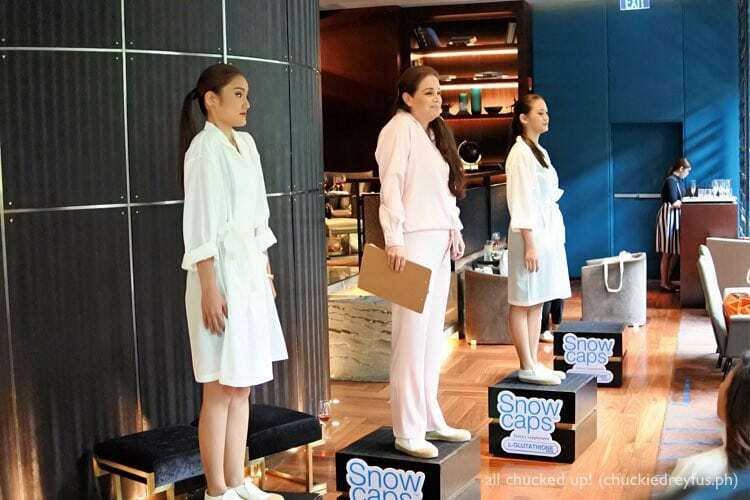 Likewise, while true beauty starts from within, Snow Caps Glutathione is another great way that women can become better versions of themselves — by helping them care for their skin.There are so many reasons why one needs Snow Caps Glutathione. The health benefits are numerous and truly amazing. alcohol, cigarettes and pollution reduce our glutathione levels causing the skin to dry and darken. 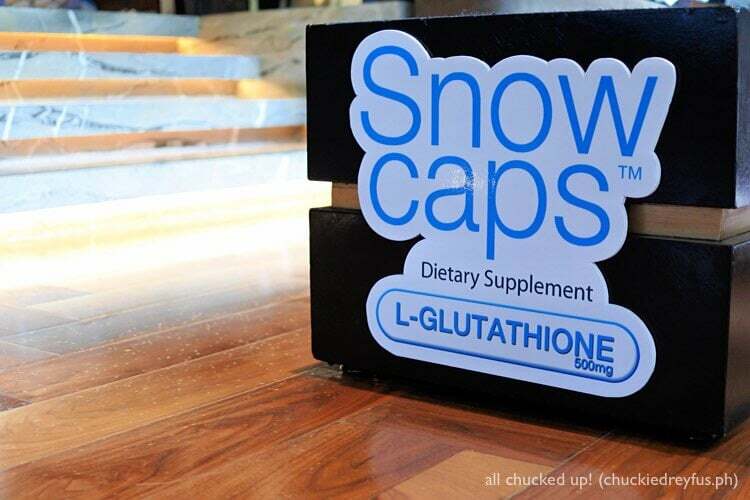 To know more about Snow Caps and the awesome health benefits of Glutathione, you can read all about it on my other post here. My biggest takeaway after finishing the Funny Face Yoga session is that, to be better versions of ourselves, we all need to learn to laugh — laugh at ourselves and laugh with others. By simply laughing at our own imperfections and accepting ourselves as what we are, we can ultimately create joy from within. Happiness, after all, is a state of mind. It can thrive and be fully alive even in the harshest of conditions, so long as one knows how to direct his/her mindset. So, laugh. Laugh a lot. And may that laughter be as infectious as the common cold. ‹ Has updating to iOS 10 bricked your device? Here’s the fix! › AirAsia welcomes the new Airbus A320neo!